[SC FAM 2018] We're Giving Away $10,000 Worth Of Prizes To New SC FAM Members! Welcome to the SC FAM! Through our cosy community, navigate through the joys and challenges of parenthood with our plethora of parenting tips and advice – and get the scoop on the latest happenings, exciting events, exclusive giveaways and more. Because there’s no hard and fast rule to parenting, we’d love to hear your parenting experiences, tried-and-tested tips, and even random rambles about your little one. If you have kids below 5 years of age and/or are a parent-to-be, come connect with fellow mummies, daddies, and share your support! WIN! 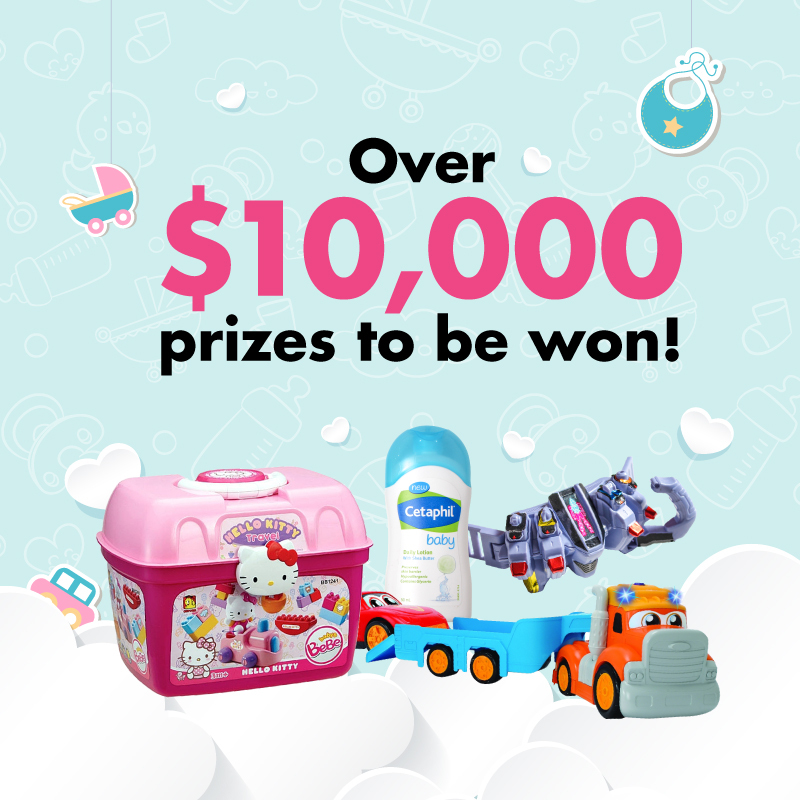 We’re giving away over $10,000 in prizes to new SC FAM members! Each new sign-up stands to win over $100 in freebies. To win, fill in the form below and join SC FAM on Facebook here! [UPDATE on 26 March] Thank you for your kind support! The registration for the first 100 new SC FAM members is now closed, we are currently in the midst of processing the winners (winners will be notified through email). We continue to welcome new members who wish to join the SC FAM Facebook group for more parenting tips and exciting freebies!